Looking For Car Dealer Car Leasing Service? Windsor Mazda is a premier new and used Mazda car dealership in Windsor, Ontario. Windsor Mazda serves Windsor, Sarnia, Leamington, Essex and surrounding area. Mazen Samhat is the Business Manager of Windsor Mazda. Products Carried: Windsor Mazda offers new and used Mazda cars in Windsor, Ontario. Along with new and pre-owned cars such as Mazda 3 sedan, Mazda 2 hatchback, and Mazda CX-9, the Windsor Mazda car dealership offers auto parts, auto repair service, finance and leasing options, and tires. 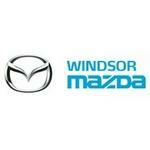 Windsor Mazda serves Windsor, Leamington, Ontario, Essex, and the surrounding area.